Row Of Empty Plain White Chairs With Special Yellow One In Middle,.. Stock Photo, Picture And Royalty Free Image. Image 70446804. 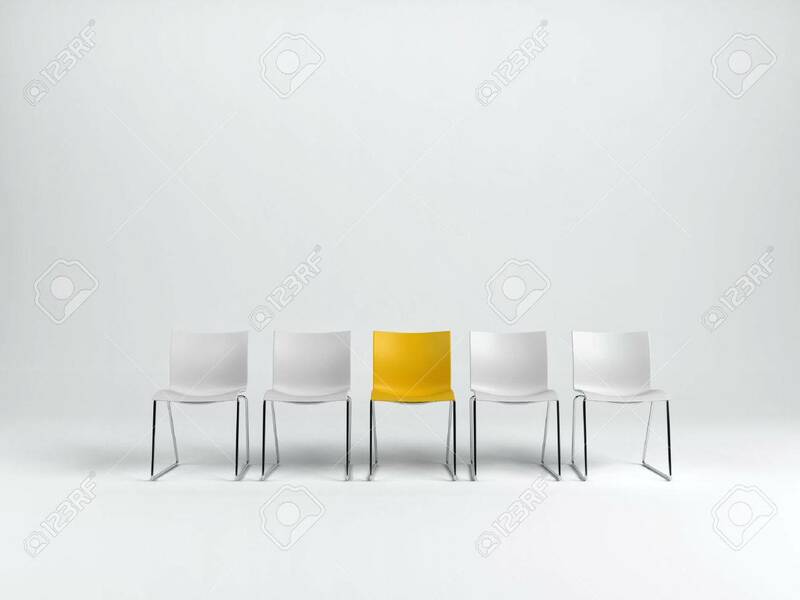 Stock Photo - Row of empty plain white chairs with special yellow one in middle, isolated on white background with copy space. 3d rendering. Row of empty plain white chairs with special yellow one in middle, isolated on white background with copy space. 3d rendering.